Windows 10 and MacOS both have their fans. Some prefer the look and feel of Windows and the breadth of the Windows PC ecosystem while others appreciate the elegance of MacOS and the close integration between Apple’s software and hardware. One thing that MacOS has always done better than Windows is take advantage of high-resolution displays — but Windows 10 is catching up. 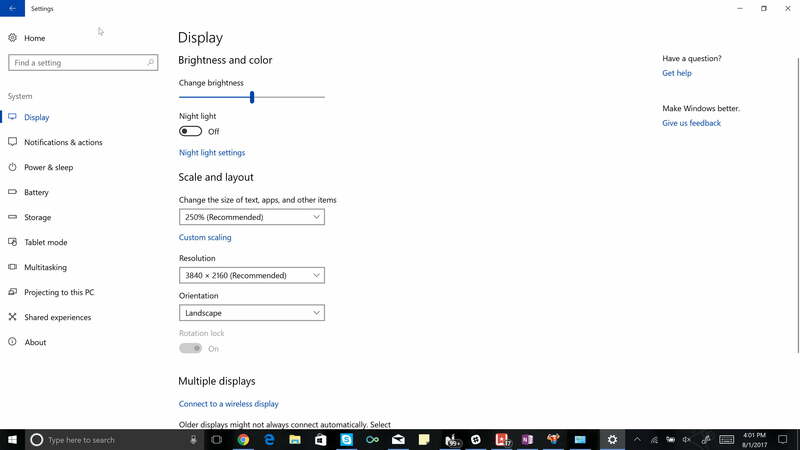 Here’s how to adjust high-DPI scaling in Windows 10. Though Full HD (1,920 x 1,080) and higher displays are much more common, and 4K UHD (3,840 x, 2,160) displays are arriving on an increasing number of machines. Some, such as the HP Spectre x360 15, only offer 4K UHD screens. Other manufacturers use their own resolutions, highlighted by Microsoft’s Surface line that uses very high-DPI displays in a 3:2 ratio, versus the more common widescreen 16:9 ratio. High resolutions are great, but when they’re packed into smaller displays, on-screen items can become very small and thus hard to see and use. This is measured by looking at PPI. The smaller the display and/or the higher the resolution, the higher the PPI. 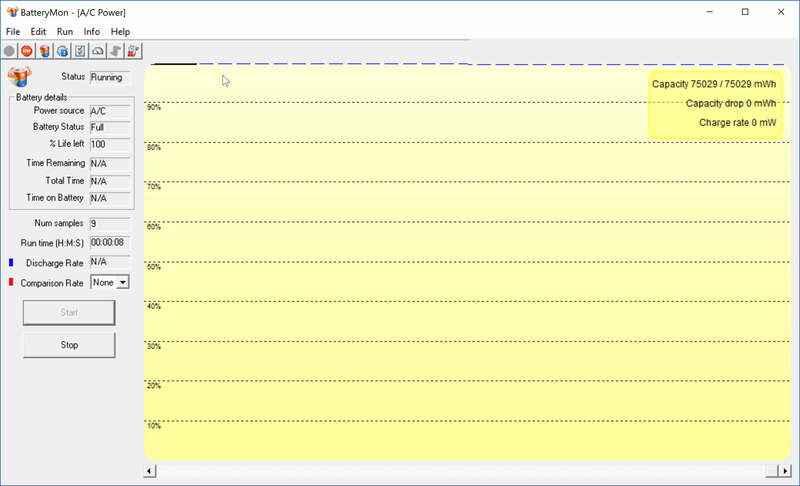 Microsoft originally defined “high-DPI” as between 120 and 144 PPI, and it started supporting high-DPI displays in Windows 7. Since then displays have been shipped with significantly higher PPI and a few problems have arisen because of it. 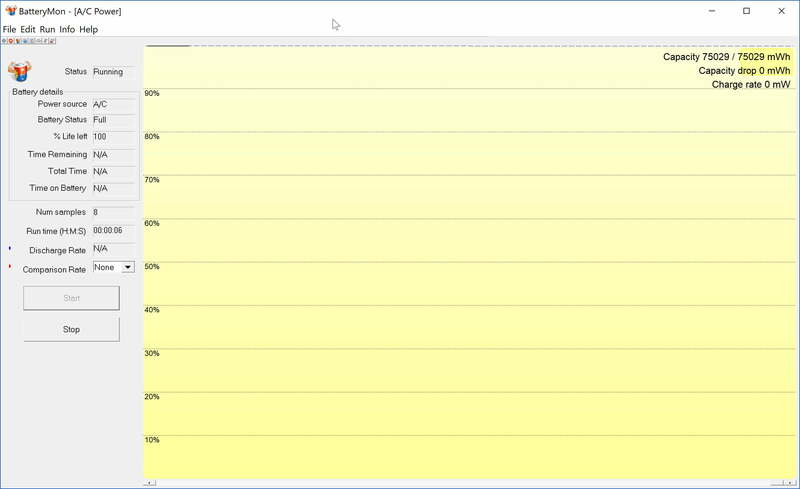 The first major problem with Windows 10 high-DPI displays is that the vast majority of Windows applications weren’t written for such high resolutions. While newer applications are more aware of high-resolution displays, and some developers have caught up with the times and have adjusted their older applications, there are still millions of Windows applications that simply don’t display well on today’s best displays when they’re running at their native resolutions. Consider the following screenshot, which shows a 4K UHD set at its native resolution with the Windows 10 Settings app maximized. The Windows 10 and application user interfaces on such a display are simply too small to use. 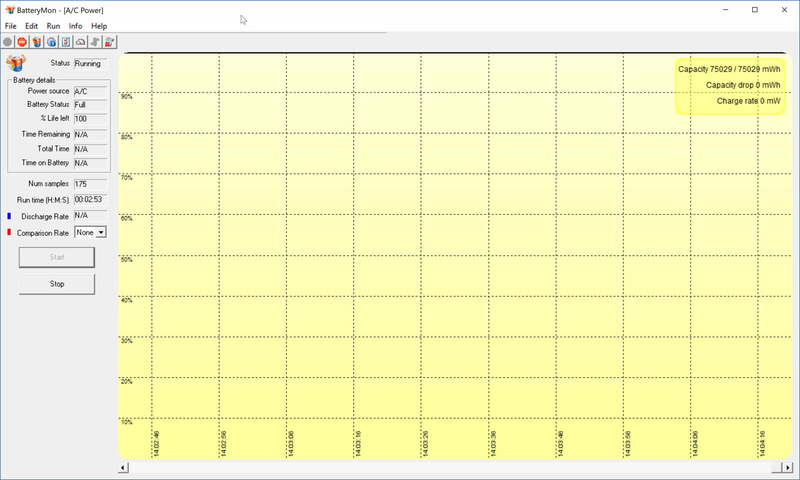 That’s where Windows 10 scaling comes in. The most basic setting to look at when adjusting Windows 10 to your high-DPI display is display scaling, which basically means adjusting the PPI by some percentage multiplier. By increasing the display scaling, you can make on-screen items such as text and icons larger and easier to read and use. For example, here is the same 4K UHD display and Settings app at 250 percent scaling (click on the image to see it clearly in full resolution). All the on-screen items such as text and icons are now much easier to view and manipulate. To adjust scaling, simply open the Settings app by clicking on All settings in the Action Center, then clicking on the Settings icon. You can also type Settings into Windows Search, or click the gear icon in the Start Menu. From the main Settings menu, click on System. Then click Display in the left-hand menu, and then take a look at the Scale and layout section. Here, you can change the scaling percentage, which will change the size of text, apps, and other screen elements. Just select the scaling percentage that you want to apply. Note that Windows 10 will recommend a scaling percentage that is best-suited for your display’s resolution and physical size. You can also set a custom scaling percentage. Type in the specific percentage value, and note the warning that some apps might not support the custom percentage. 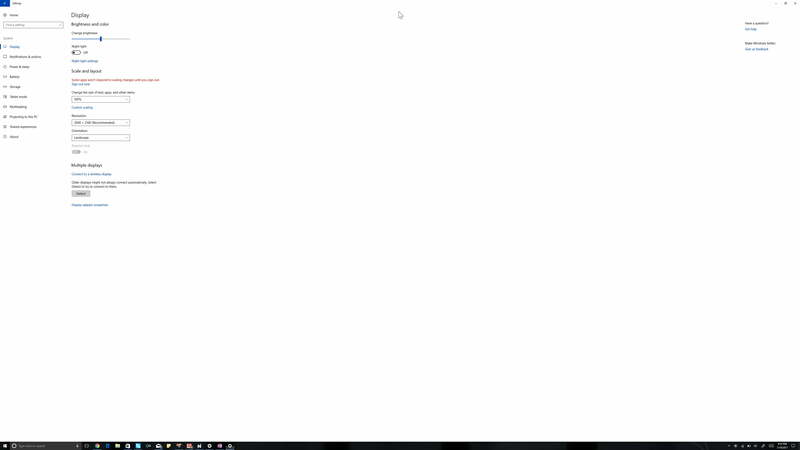 Sometimes, some desktop apps will look blurry when you change scaling and display settings and adjust for DPI. If you’re running the Windows 10 April 2018 Update or newer, the system can automatically try to resolve these problems when it sees an issue. 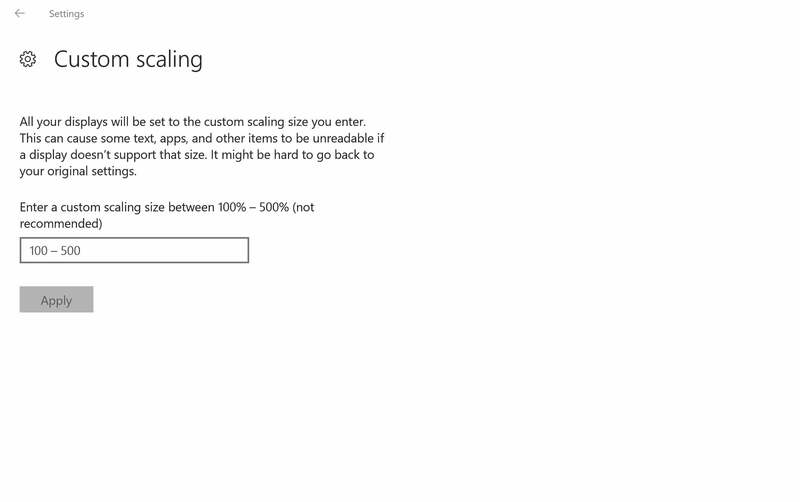 You can find this option by searching for Advanced scaling settings in the Windows 10 settings app. Once at this landing page, make sure the toggle switch for Let Windows try to fix apps so they’re not blurry is on. This only works when running applications on your main display. Problems can arise with older Windows desktop applications. When many of the 16 million or so Windows desktop applications were first written, high-DPI displays were rare, and in the meantime, it’s simply been too expensive for many developers to upgrade their applications to run on all of the display resolutions available today. Problems mainly arise when you’re using Windows 10 scaling to make your high-DPI displays more manageable. 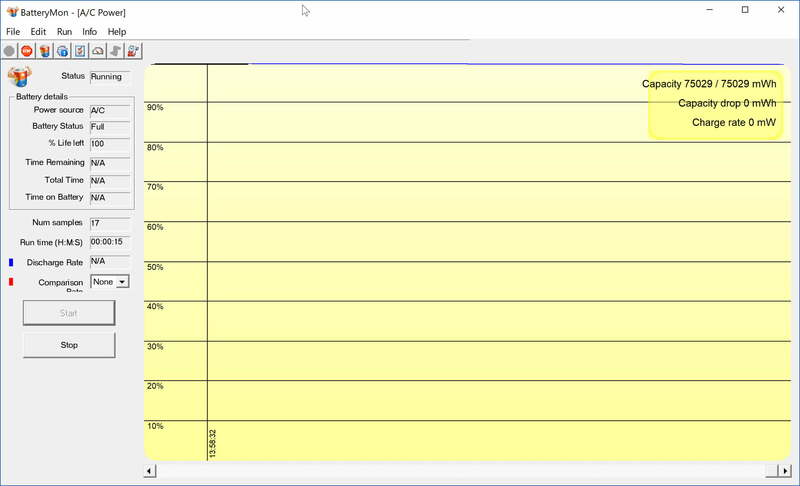 Many Windows desktop applications simply don’t scale well, with symptoms like blurry text and icons. Microsoft has made some changes to Windows 10 high-DPI support and how it handles these older applications, and today they’re handled much more effectively. Even with all of Microsoft’s improvements, Windows desktop applications can still run into issues. Fortunately, there is a trick that you can use to make some of those applications look better on high-DPI displays. To start, right-click on the application icon, such as via a shortcut on the desktop, and select Properties. Then, select the Compatibility tab. Under settings, click Change high DPI settings. This opens a new window where you can check off the Override high DPI scaling behavior box. There are three options for this setting, Application, System, and System (Enhanced). We dive into those later. Consider the following application as it runs on a 4K UHD display set to 250 percent scaling. While usable, it’s extremely blurry, which isn’t the ideal experience. The first option, Application, will let the application control how it displays. This results in the same thing as if you have your Windows 10 system configured for 100 percent scaling — notice how the icons under the menu are tiny. The second option, System, lets the Windows 10 system control things, which is the same as leaving this setting turned off. Third, you can select an enhanced version of system scaling. This won’t work with all applications, but for the ones that it supports, it can result in sharper text and a clearer overall user interface. Prior to Windows 10 Creators Update, there were more detailed settings that could be configured to control the size of text, icons, and other elements. Microsoft removed those options, however, so now you’re left with these more limited options. Play with them to see what works best for your PC and applications.